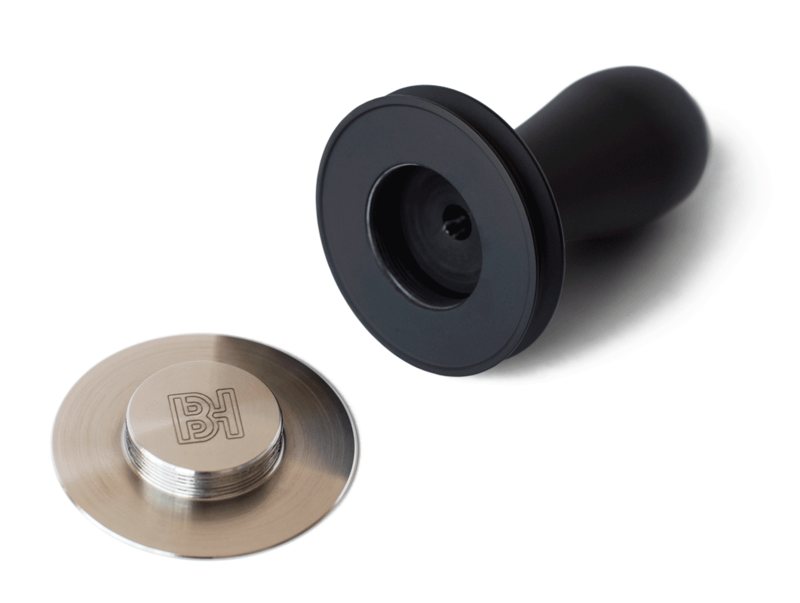 Lightweight to minimize fatigue, a tight portafilter fit without causing suction, and because drops are bound to happens, a replaceable base. The most repetitive motion behind bar deserves better. The Tamper’s 58.4mm diameter fits a VST basket exactly while the unique double flange not only eliminates the frustrating vacuum effect but also helps keep you vertical. Made with military-spec type III hard anodized aluminium with a 304 stainless steel flat base, the Barista Hustle Tamper is durable but lightweight to minimize fatigue. And because a tamper’s lifespan is bound to include a few run-ins with the floor, the base is easily and affordably replaceable. A tight portafilter fit combined with a unique double flange between the base and top slope of the handle eliminates potential vacuuming created by a traditional thick piston face. This reduces channeling and provides a more stable puck for extraction. 58.4mm diameter base. 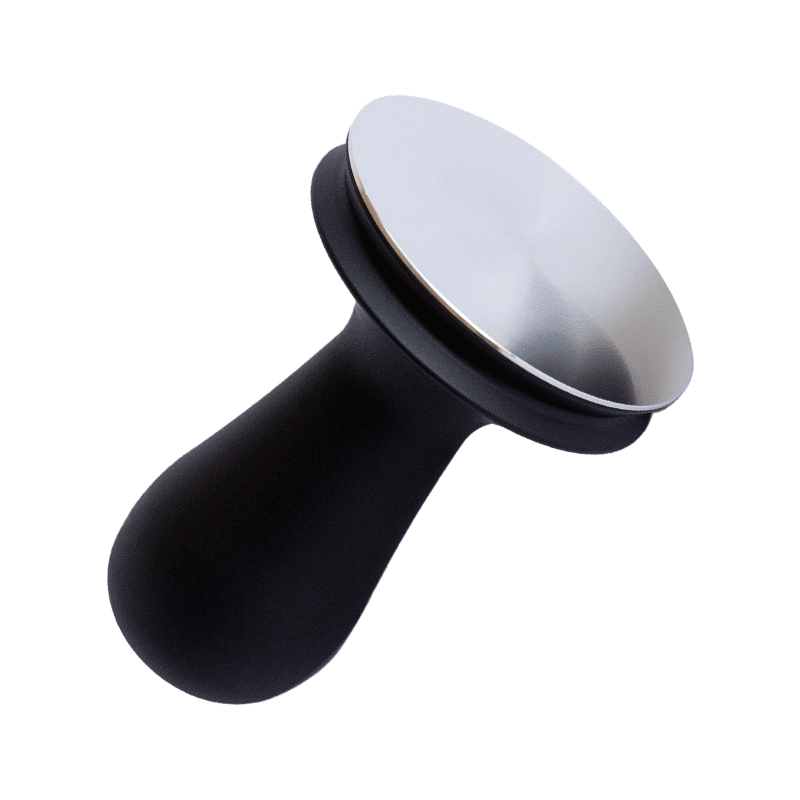 At only 250 grams, the Barista Hustle Tamper makes regular tampers feel like an axe, and you’ve just upgraded to a scalpel. 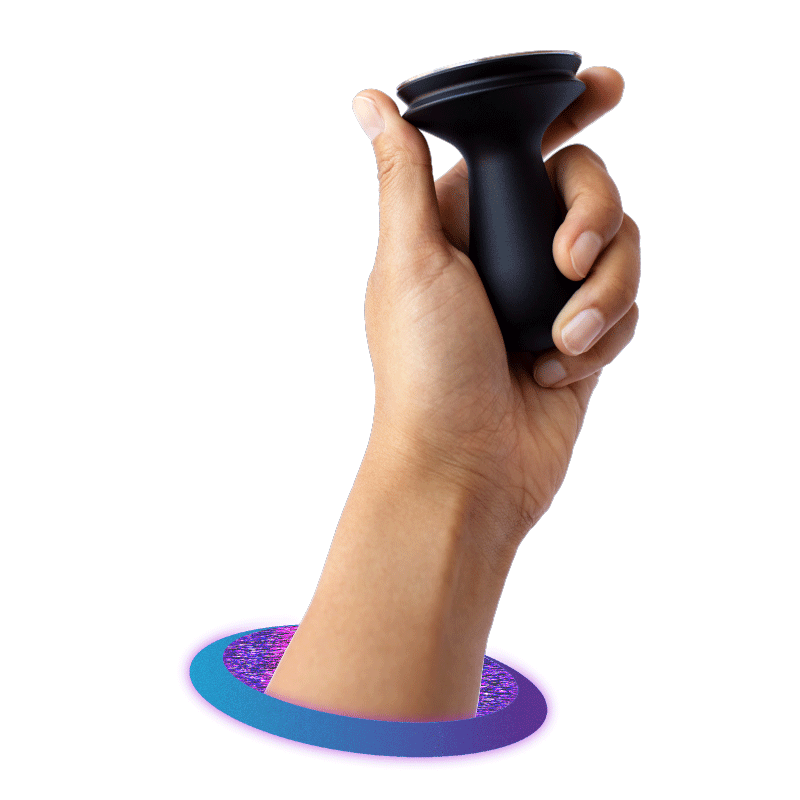 A less cumbersome tamper also means less repetitive strain on the body. Human-friendly shape for most hands and styles. Rock hard yet textured surface for confident gripping. Shifts happen. Baristas drop tampers, and they get damaged. Even the hardest steel will become deformed over time. Our Barista Hustle Tamper comes with one handle and one base. Instead of replacing the entire tamper after a scratch or a ding, you can simply replace the base with a spare. Do more than tote your prized tamper — protect it! Each Barista Hustle Tools Tamper comes with a black canvas zipper case with a custom-made interior molding for a snug and safe fit. Shifts happen. Baristas drop tampers, and they get damaged. Even the hardest steel will become deformed over time. 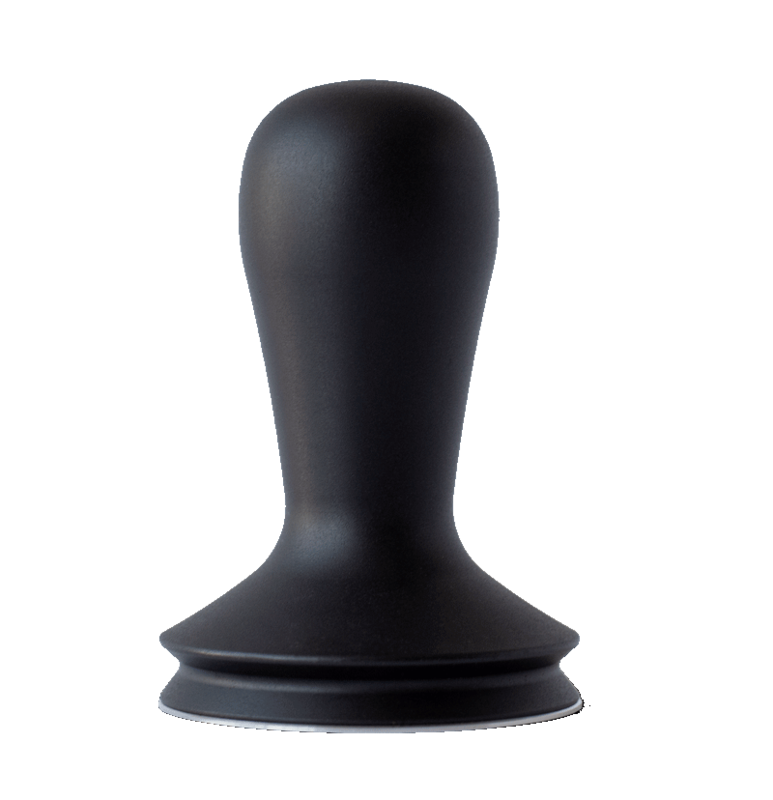 Instead of replacing the entire tamper after a scratch or a ding, you can simply replace the base. Our Spare Tamper Base is designed for every budget without compromise thanks to more efficient manufacturing and less materials. 304 stainless steel flat base. 58.4mm diameter for VST baskets. Designed for use with our Barista Hustle Tamper. Do more than tote your prized tamper –– protect it! Our industrial black canvas case with custom-made interior molding allows your Barista Hustle Tools Tamper to fit snugly inside. No rattling on the bus while you commute in for your 5am open. Pulling two shifts at two bars in one day? Simply zip up your tamper for easy transportation and go.